You already know that your iPhone can create great-looking video right out of the box. But how do you take your game to the next level? 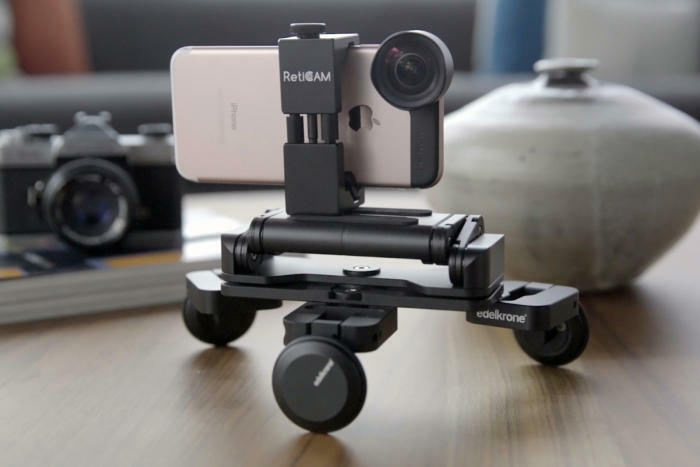 Besides always shooting in landscape mode, you can invest in a number of hardware accessories that will both supercharge your creativity as well as mitigate some of the problems that plague everyday iPhone videos. Some of the hardware below applies the same principles as professional video equipment—and that’s something we can really appreciate as the production team behind Macworld’s videos. The accessories we describe below aren’t necessarily limited to iPhone 7 Plus—in fact, we tested with an iPhone 7. But still, we highly recommend Apple’s latest and largest smartphone if you want the best iPhone camera experience around. In digital videography, your lens has a dramatic effect on how well your camera’s sensor “sees” the image you’re trying to capture. The lens on the iPhone 7 Plus camera isn’t bad, but it is forced into a compromised middle ground between wide and telephoto that’s not ideal for some situations. And you won’t want to use the phone’s digital zoom, which will almost always introduce digital artifacting. Enter the Moment lens system (various models are available at Amazon or the Moment store for $80—make sure you pick the right one). 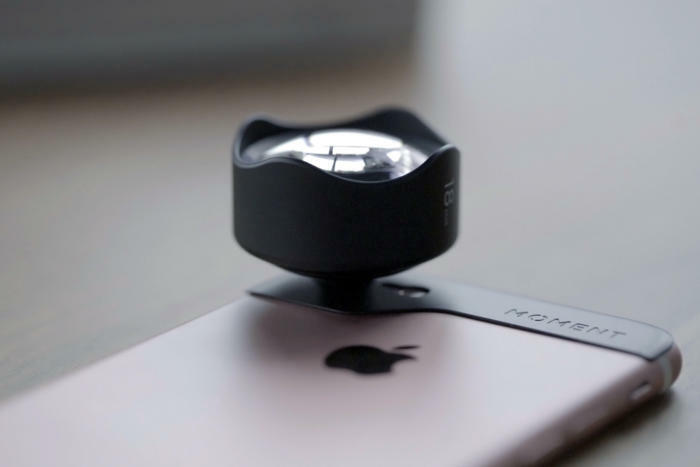 The Moment system begins with a bracket that sticks to the phone itself, giving you the ability to quickly swap between telephoto, wide, and fisheye lenses. We found that the lenses screw securely into the bracket, and don’t cause any cropping or vignetting on the image. Plus, color reproduction is good. They also have a macro lens, but we found the focus distance is too close to be very useful. MOMENT Fisheye Lens for iPhone 7 PLUS - 15mm fish-eye lens kit - aspherical lens with 170 degree rectilinear fisheye iPhone lens with minimal distortion. Hardware that keeps your video image stable can be a huge upgrade. The less expensive “hold the phone with your hands and do the best you can” method may be less expensive, but you’ll still end up with video that looks like an old episode of Cops. Luckily, there are effective stabilizer choices at a wide range of price points. 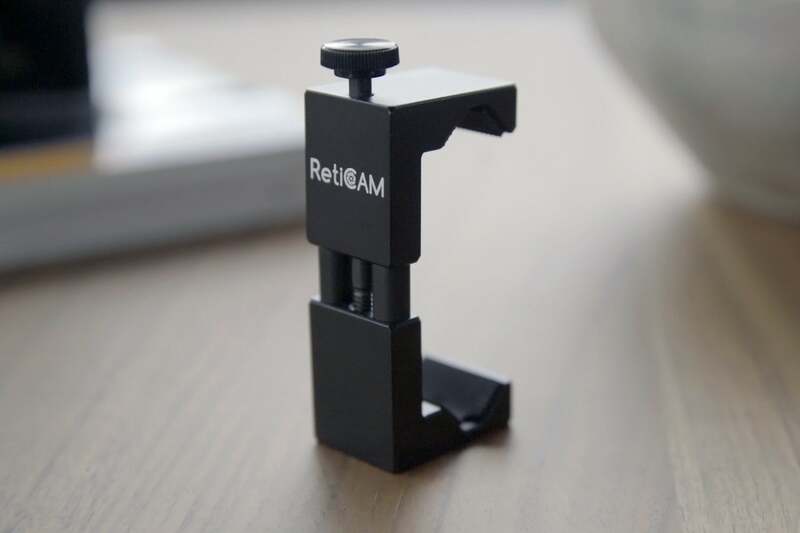 For the entry-level auteur, we suggest the Reticam Smartphone Tripod Mount, which costs $25 at Amazon. While it may look similar to the smartphone mount you might find on the dash of your car, this mount has a threaded hole in the base, letting you screw the mount onto a tripod or handgrip, giving you a significant boost to your video quality. It’s also large enough to handle an iPhone 7 or an iPhone 7 Plus. At the other end of the stabilization spectrum is the high-end DJI Osmo Mobile—which costs a not-inconsequential $299 on Amazon. 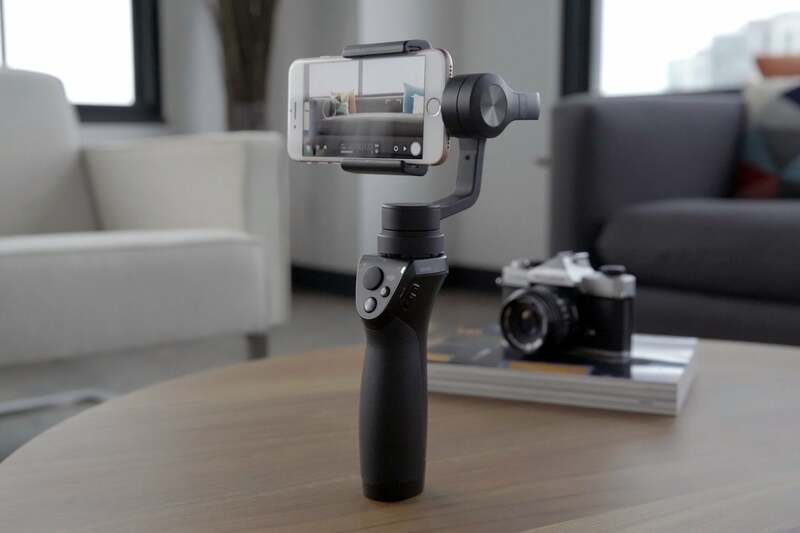 The Osmo Mobile is a powered gimbal that uses internal motors to counteract motion while shooting, giving you a degree of stabilization on par with professional rigs. The Osmo Mobile also has other bells and whistles, like shutter and camera controls on the handle. All of our testing yielded stunning results (seriously, check out the video above to see what it can do). This gimbal only reached its limit at full-on sprinting, where it wasn’t quite able to stabilize all the impact of every foot step. The smooth dolly shot is a hallmark of professional video production, and the Edelkrone PocketSkater 2 ($280 at Edelkrone) helps you get that Hollywood-quality effect. And unlike the Osmo Mobile, it doesn’t require power, so you don’t need to worry about batteries or charging. 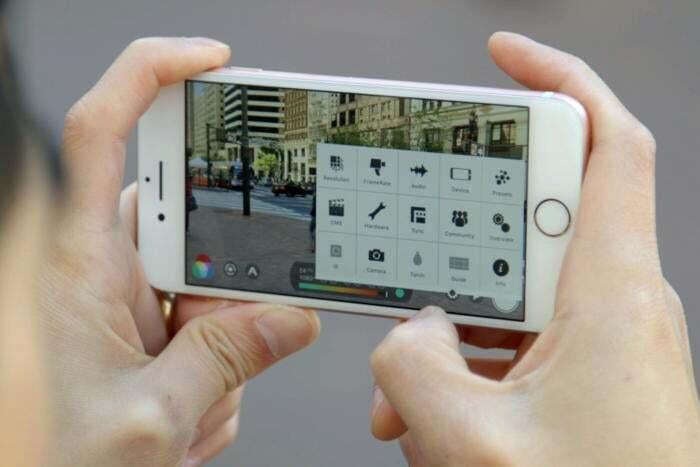 You simply roll it by hand to move your iPhone’s camera in a smooth, level, controlled movement. That said, the PocketSkater 2 is intended for use on a flat surface, so your results may vary depending on how smooth of a surface you’re using it on. Also, the dolly is scaled for a smartphone, so you’ll also need to find a surface that’s at the right height to get you the shot you want. But there’s some really nice flexibility here: The wheels on the PocketSkater 2 can be adjusted to achieve both a straight dolly from side to side, and a curving shot that can circle around a subject. Turning the camera 90 degrees on the mount allows you to do dollies in and out. It’s important enough to repeat, though, that you’re always at the mercy of the surface you’re rolling on. It needs to be flat, and at the right height. A neutral density, or ND, filter cuts down the amount of light that reaches the lens. It’s a core tool for professional videographers (and photographers), because it allows you to control exposure once your frame rate and shutter speed are set. A “variable ND,” like the Zomei model we used in the video above ($17 on Amazon) lets you adjust the strength of the filter up and down by twisting it left or right. Since it’s adjustable, you’ll be saved the hassle of carrying a bag with various different-strengthed filters wherever you go. Instead, just clip on your variable ND, and you’re ready to shoot. 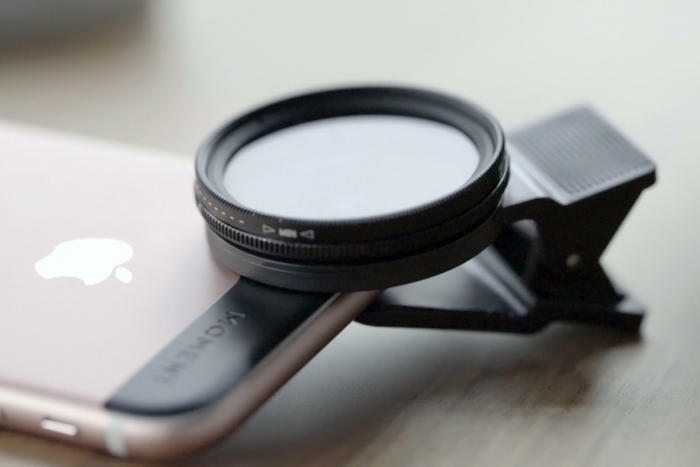 Just note, however, that this Zomei filter is designed to clip directly onto your phone, and won’t fit on an attached lens like the Moment lenses. For all its upsides, the iPhone's built-in Camera app still lacks manual controls. So, if you want to set exposure, frame rate, shutter speed, and ISO yourself, you’ll need to download a third-party app. And we think the best you can get right now is Filmic Pro—$15 in the App Store. Recently, the developer added a $10 in-app purchase for a “cinematographer kit,” which adds log and flat color profiles to help you maximize the camera’s dynamic range. This add-on also includes monitoring tools like focus peaking, false color, and a waveform. One note of caution: Log does add additional noise in certain situations. An advanced user might enjoy access to all these features, but most people will be fine without them. You don’t need to spend a lot of money to improve your iPhone video game, but the products above can help. And if you don’t want to spend any money, you can still improve your video by avoiding the cardinal sin of smartphone video. Spielberg doesn’t shoot his movies in vertical mode and neither should you.